AMD has updated their FirePro W9100 graphics card to support twice the memory buffer than it originally featured. The FirePro W9100 is now the world’s first workstation class graphics card with 32 Gigs of VRAM which is twice the memory buffer the original variant had and is higher than what is offered by competition. 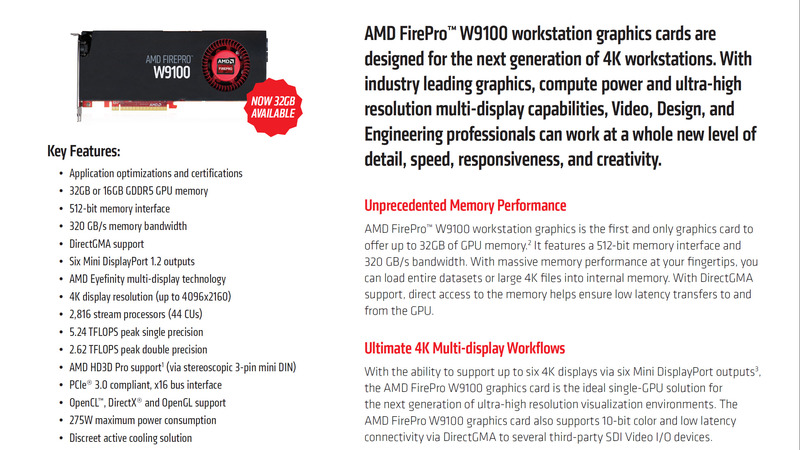 AMD’s FirePro W9100 is the world’s first and only workstation graphics card with 32 Gigs of VRAM! 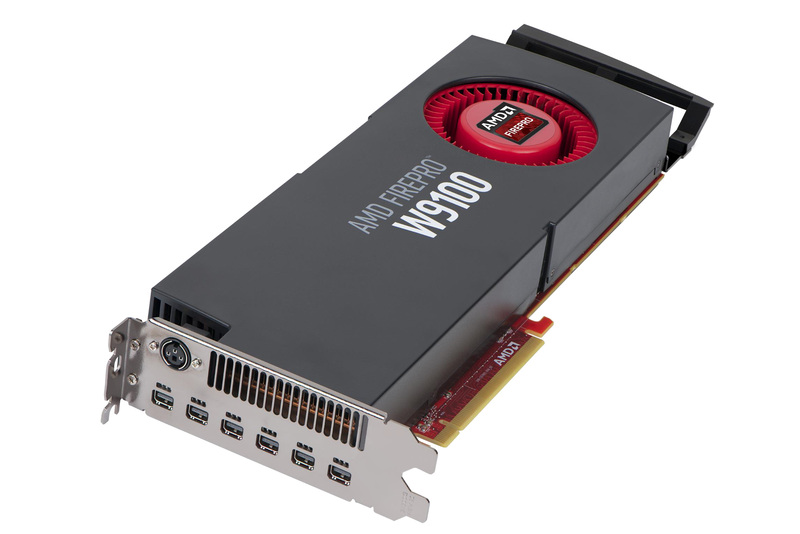 The AMD FirePro W9100 graphics card was launched two years back for the workstation market. Back in 2014, it shipped with 16 GB of GDDR5 memory but AMD has decided to use denser 8 Gb DRAM chips to upgrade the memory buffer to 32 GB which is the highest amount available on graphics cards these days. 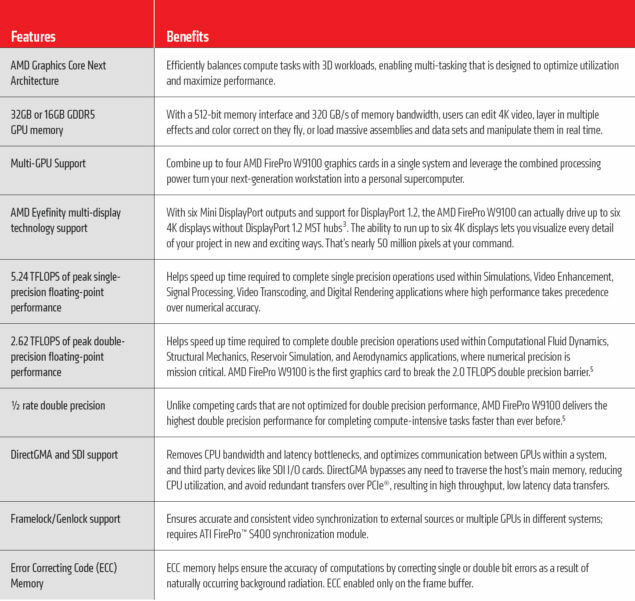 Aside from VRAM updates, the specifications of the card remain the same. The W9100 comes with 6 Display Port connectors for developers and content creators! The FirePro W9100 still features the Hawaii XT core based ont he 28nm process. These graphics chips offer good combination of VRAM and Compute hence they are the obvious solutions to house in Workstation and Servers. AMD’s recently launched FirePro S9300 x2 which uses their Fiji XT graphics core is a server solution built for the single precision workloads and the card features 8 GB of total on-board VRAM. The Fiji XT chips don’t have the same dual precision muscles as the Hawaii cores hence they are still the ideal choices for FP64. Aside from FP64 the Hawaii core can also feature higher VRAM buffers which we are looking at in the latest W9100 solution. 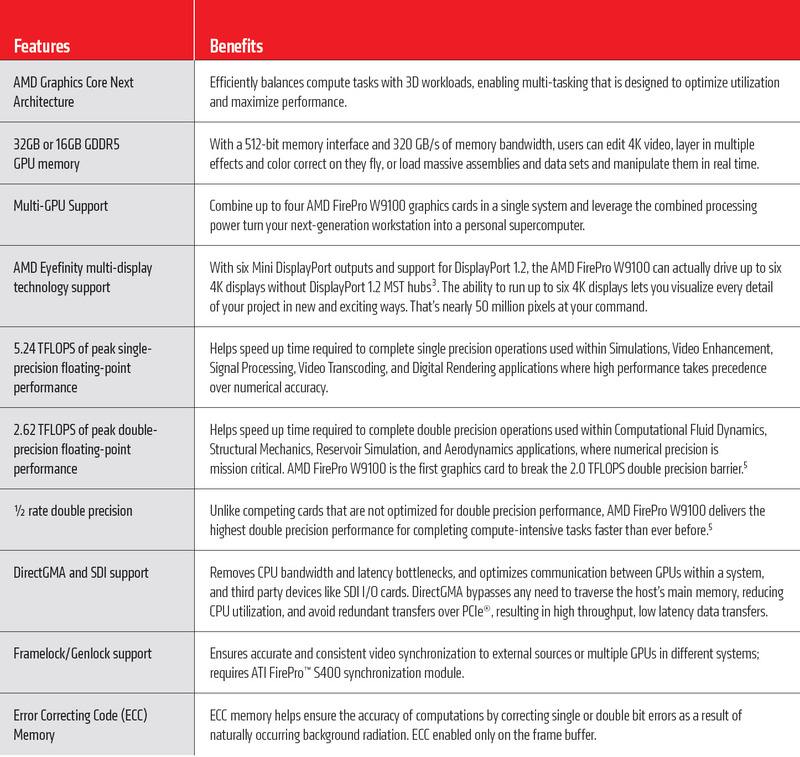 AMD’s FirePro W9100 comes with clock speeds of 930 MHz which leads to 5.2 TFLOPs of single precision and 2.6 TFLOPs of double precision compute performance. The card features a 32 GB GDDR5 VRAM that operates with speeds of 5.0 GHz, delivering a total bandwidth of 320 GB/s. The card comes with a 512-bit interface and has a 275W TDP. Do note that both 32 GB and 16 GB versions of the card are available however the 32 GB SKU costs $1000 more than the 16 Gig variant. AMD’s FirePro W9100 is tested in a review by 3DTotal. NVIDIA had also recently updated their flagship workstation offering with 8 Gb memory chips to effectively increase the memory buffer from 12 GB to 24 GB. Both graphics makers now offer the maximum VRAM that can be allocated to their workstation and server parts. The higher VRAM buffer is a good addition for workstation developers and content creators and that is requirement is finally being fulfilled by GPU makers. 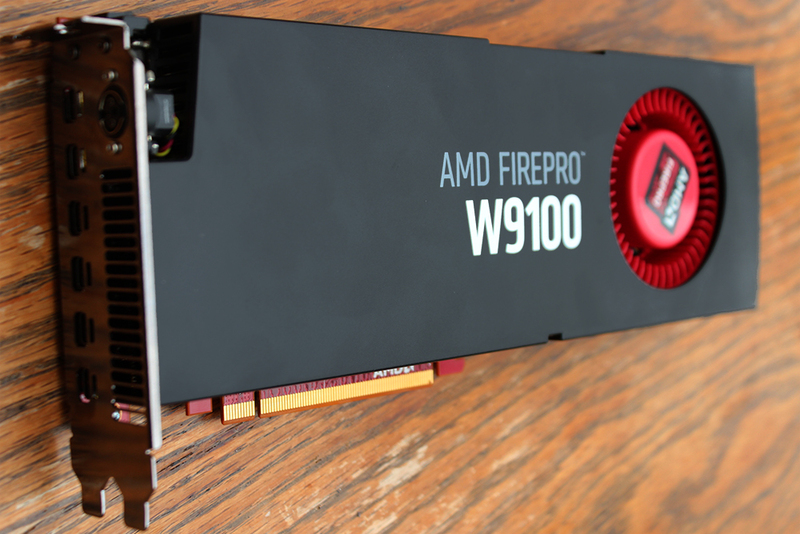 The FirePro W9100 is available today with 32 GB VRAM at price of $4999 US.